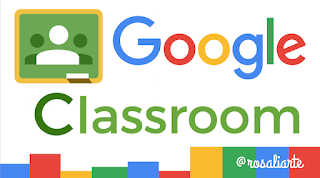 Classroom is a free web service for learners, non-profits, and anyone with a personal Google Account. Classroom makes it easy for learners and instructors to connect—inside and outside of schools. You can access Classroom using the web on a computer with any browser, such as Chrome, Firefox, Internet Explorer, or Safari. In general, Classroom supports major browser releases on a continual basis. · Create and manage classes, assignments, and grades. · Give direct, real-time feedback and grades. · Keep track of classwork and materials. · Share resources and interact in class stream or by email. · Get feedback and grades. · Create, view, or delete any class in their domain. 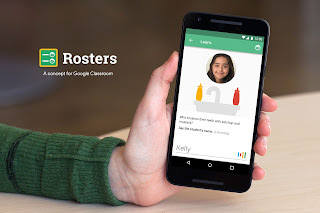 · Add or remove students and teachers from classes. · View work in all classes in their domain. Add students easily—Students can join a class with a code, giving you more time to teach. Manage multiple classes—Reuse existing announcements, assignments, or questions from another class. Share posts across multiple classes, and archive classes for future reference. Teach together—Co-teach a course with up to 20 other instructors. One-click worksheets—From a worksheet template, create an individual document for each student with one click. 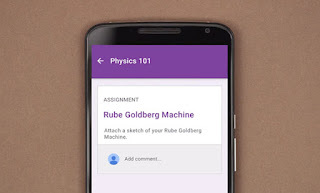 Rich assignment materials—Add materials to your assignments, such as YouTube videos, a Google Forms survey, PDFs, and other items from Google Drive. Teachers and students can draw on, write notes, and highlight documents and PDFs in the Classroom mobile app. Customize assignments—Add optional due dates, create customized grade values, and track which assignments are graded. Prepare in advance—Draft posts and assignments, or schedule them to automatically post to the class stream at the scheduled date and time. Quick exit tickets and polling—Post a question to students, then view results within Classroom. Customize your class theme—Change the default color or theme image for your class. Keep resources in one place—Create a class resource page for documents, such as your syllabus or classroom rules. Keep students organized—Classroom creates a Google Calendar for each class and updates the calendar with work and due dates. Students can view upcoming work in the class stream, on their work page, or in the class calendar. Keep teachers organized—Review student work, including assignments, questions, grades, and previous comments. View work by one or all classes, and sort by what needs reviewing. Keep classes organized—Teachers can organize the class stream by adding topics to posts and filtering the stream by topic. Grade quickly and easily—Sort students by first or last name, see who's turned in work, draft grades to share with students later, and add private comments. Plus, add annotations and visual feedback to student work in the Classroom mobile app. Transfer grades—Export final grades to Google Sheets or to a CSV file for upload elsewhere. Integrate with other favorite teaching tools—Sync your existing Classroom classes with partner applications. Individual assignments—Teachers can post work and announcements to individual students in a class. Access anytime, anywhere—Access Classroom on the web or via the Android and iOS Classroom mobile apps. Real-time feedback—View, comment, and edit student work in real time. Annotate student work in the Classroom mobile app. Create class discussions—In the class stream, post announcements, engage students in question-driven discussions, or move important topics to the top. Manage class discussions—Control who can post to the class stream and mute individual students from posting or commenting. Share content—Share links, videos, and images from websites to Classroom with one click in the Share to Classroom extension. Push content to students’ screens—Push webpages instantly to a class with the Share to Classroom extension. Students can also share their screen with their teacher. Affordable and secure—Like all other free G Suite for Education services, Classroom contains no ads and never uses your content or student data for advertising purposes. One sign-in—Teachers and students can sign in to Classroom with their G Suite for Education accounts. Set permissions—Enable or disable Classroom for all users, specific organizational units, and other G Suite for Education school districts. Also determine which teachers can create and manage classes. SIS integration—Using the Classroom API, set up classes and create student rosters based on your SIS. Professional development—Get your teachers using Classroom quickly with our free online training in the Google Training Center. Free 24x7 support—Having trouble? Contact our 24x7 support line or visit the online help center. Personal data protection—Classroom is covered under the core G Suite for Education Terms of Service, which includes Family Educational Rights and Privacy Act of 1974 (FERPA) compliance. Admins can decide if domain users can grant access to their Classroom data to third-party applications. Classroom user metrics—Administrators can view Classroom usage reports in the Admin console.